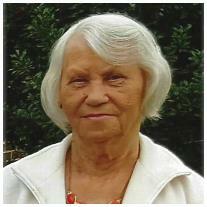 Helen Faye Bush, 85, of Roanoke, passed away Tuesday, May 29, 2018. She was predeceased by her husband, Clifton Fields Edward Bush; sons, Charles Edward and Stevie Lynn Bush; five sisters, and one brother. Surviving family includes a daughter and son-in-law, Deborah B. and David Early; son and daughter-in-law, Timothy (Tim) and Rebecca Bush; grandchildren, Deborah Kay Whitcomb (Tim), Micheal Bush, David A. Early, Kristen Early, Kotielynn Bush-Early, Brandon Bush, Jacob Early, Gabby Early, Zyleah Early, Enrico Early, Samiera Early, and Arabella Early; great grandchildren, Jordan and Alyson Whitcomb; brothers, Ray and Richard (Mary) Hunter, and numerous nieces and nephews.